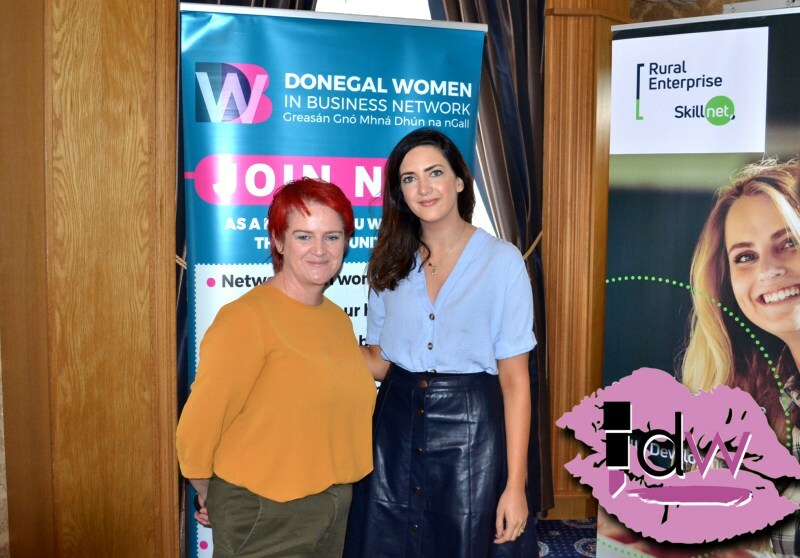 A short while back, myself and the fantastic Camilla from Póca Productions delivered an event called Video Speaks Volumes, to the Donegal Women in Business members in collaboration with Rural Enterprise Skillsnet. The event focused on how to create videos, using just the technology in your pocket (Camilla’s area of expertise!) and, once you have videos in your arsenal – how then to launch them into the world via social media (that’s where I came in!) It was exciting to cover this topic, because although social media is changing lanes around us every single day, video content remains a constant, and – something we can use to effectively connect with customers and engage people with our stories! Social media users are over-saturated with content now more than ever (exposed to around 5000 (plus!) pieces of branded content per day) and are starting to become passive as they scroll, how can we make them stop and take notice? Engage them with a story. Videos are more dynamic than static images. Stories about your business, your day, your product, your backstory, your customers, your suppliers – lots to consider! Videos forge an emotional connection between your brand and your audience, and create a more memorable experience. Did you watch the John Lewis ad this year? On TV or online (my guess, is both) and was the John Lewis brand plastered all over the ad, products and logos sprinkled throughout? No. But, yet again the brand is the name on everyone’s lips increasing visibility, emotional connection, heritage and brand awareness. While we don’t have the millions required to create a glossy ad campaign featuring Elton John, are there ways you can bring our audience into our world using video? - Viral reach: the number of people (usually a large number) who have saw your content as a result of it being shared by one or multiple social media connections. - View: Bingo. People/users sticking with your content to watch some, if not ideally, all – of your video. This plus engagement is a metric you want. But, what counts as a view? Facebook: 15-30 second videos perform best, you can upload up to 45 minutes. When you record live, it saves and can be published to be archived/viewed later. Instagram : 6-10 second videos perform best. 60 second videos can be uploaded to feed, 10-15 seconds on stories in increments, and you can record up to one hour on IGTV. Twitter: You can record up to two minutes and 20 seconds or link out to a longer video, but less than 30 seconds is the best performing length. Youtube: Relatively unlimited, but up to 15 minutes until you ‘verify’ your account, and it is wholly dependent on the type of video you’re posting there. Youtube users generally have a better attention span, they’re there to consume video specifically while other social media channels require us to create short snappy interactive content to grab attention and hold users.